Your home is your investment, and you want to protect it. People often have an action or emergency evacuation plan in place, but overlook other details such as making sure the home is well-prepared when Mother Nature strikes. So, what should you do to ensure your home is protected from the elements? Property owners and renters need to insure their homes against flooding and other damages, which may not be part of your area’s standard plan. Even if your home is not located on the coastline, having flood insurance is essential during the storm surge. If you recall the Houston floods of 2015 and 2016, you know the water can rise in a matter of moments. It’s essential to protect your investment in the event that a catastrophic flood reaches your area. You should also assess your wind insurance coverage. Depending on your location, your homeowners insurance may not cover wind damage, and you may need to purchase a separate wind insurance policy. All AWP windows are windstorm-rated, so you will have less to worry about when it comes to those high winds that hurricanes and tropical storms can bring. In addition, car owners should contact their respective auto insurers to inquire about flood insurance, and they should move their less-used vehicles to a safe location. When is the last time you invited a professional to look at your windows? For many homeowners, they may have never considered the importance of having a quality control check performed, but it’s an essential step in preparing your Gulf Coast home for the upcoming hurricane season. Hire a professional to come to your home and ensure your windows are free of any deficiencies that may cause them to fail during debris impact or strong winds. In addition to cracks, windows lacking proper sealing can cause catastrophic water damage to your home. It’s essential that your windows seal properly to protect against heavy rain. If you live along the Coastal Windstorm area, you may be required to have a certain type of windows, but even if you live further inland, it’s a good idea to invest in windstorm-rated windows to protect your home when strong winds hit your area. While no amount of preparedness can completely shield your home from the devastating damage that a hurricane or tropical storm may bring, you can take steps to minimize the risk of damage to your home. Your windows are one of the most vulnerable parts of your home. They can be shattered by flying debris, thus allowing outside elements to cause damage that could have possibly been avoided with impact-resistant windows. Hurricane impact-resistant windows are built to withstand the most severe weather conditions, and they eliminate the need to board up when a hurricane approaches your residential area. In addition, with impact-resistant windows, there is no need for bulky storm panels. Additionally, our impact-resistant windows are energy efficient. Outside of hurricane season, they’re also high-performers. They reduce your energy usage, minimize outside noise and keep pollen and other allergens at bay. In the midst of a hurricane, your landscaping can be powerless against the strong winds that can send plants, shrubs and trees flying through the air, and potentially in a destructive path toward your home. Trim your trees and shrubs to ensure they can resist the wind, as well as work to minimize potential damage from fallen limbs. You should consider swapping any rock gravel for soft mulch or shredded bark. Small rocks are easily picked up by strong winds and flung toward your homes most vulnerable points; they can often cause damage to the siding of your home. Tie down small trees and shrubs to prevent uprooting, and have a professional look at the larger trees near your home to assess if you need to remove any that may come down in the high winds of a hurricane. It’s better to protect yourself by removing a tree than to face the aftermath of a tree falling on your home or car. At Advanced Window Products, we work hard to ensure your home is protected in the event of a hurricane or natural disaster, but we know that the most important aspect of home preparedness is making sure the people who live within its walls are safe. In the event that you are at home during hurricane, it’s essential to have a pre-prepared hurricane kit on hand. You want to safeguard yourself and your family by having the necessities to sustain each person within your home for up to 7 days. We have provided an excellent list of resources to help you ready your home and your loved ones to ensure safety this hurricane season. Texas Emergency Preparedness: This resource is Texas’ emergency portal. Texas Department of Transportation Evacuation Routes: This is TxDOT’s site that provides the hurricane evacuation routes for the Gulf Coast area. Texas Department of Public Safety – Hurricane Preparedness: This is a wealth of links and resources to help you prepare for the 2017 hurricane season. FEMA’s Hurricane Readiness Guide: This site provides comprehensive information for hurricane preparedness from FEMA. 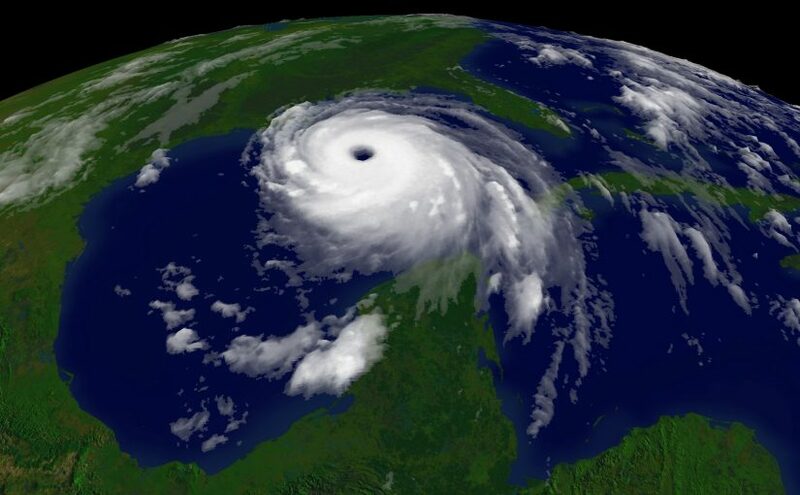 National Hurricane Center at NOAA’s Guide: This list provides a rundown of what you should do to prepare for hurricane season. Ready.gov for Kids: This link offers resources for children and parents for preparedness in the event of a natural disaster. It features games for the little ones, and it offers advice to parents for helping children cope during and after an event like a hurricane. In the face of a disaster such as a hurricane, you can take precautions to safeguard your home. The last thing you want to worry about when faced with catastrophe is damage to one of your largest investments. If you’re ready to protect your home with the installation of vinyl hurricane or vinyl windstorm-rated windows, contact us today. Stay safe this hurricane season with the proper precautions in place!